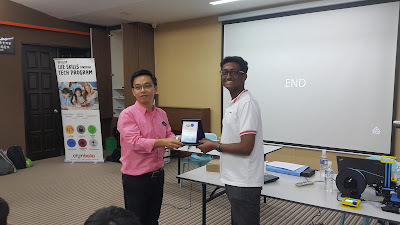 For my (Val's) last day with Maker Mobile we conducted a session early in the morning for a secondary school in Penang island. It was a school with a historical building. 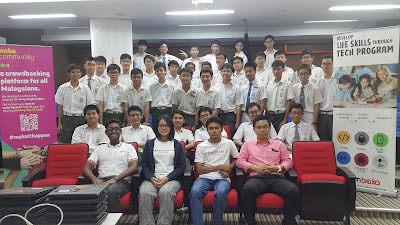 We were welcomed into a small auditorium, where we taught Arduino with IDE, an embedded systems with line coding, to the school's Wireless Society. 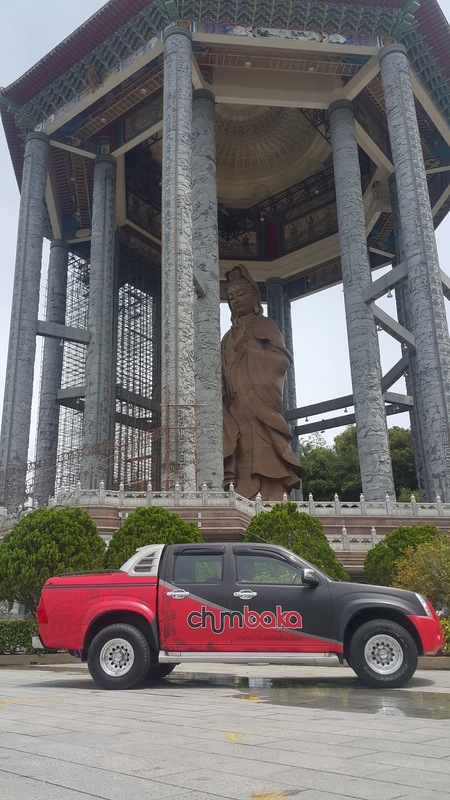 Even though it is a Chinese based school, a student prepared a speech in English thanking Chumbaka for the opportunity and affirming the importance of pursuing knowledge. The Wireless Society, their teacher explained, was founded back in the 1950s when they played with radios and other old school electronics. Turns out they've started dabbling with Arduinos recently and some of the students even competed in competitions with Arduino related projects. The school saw Maker Mobile as an opportunity to introduce this embedded systems to more of their students in a fun way to pique their interest. As for those students that already had experience with Arduino, they acted as mentors and helped their peers in their projects. Some progressed with ease, and all with enthusiasm. At the end of the session. The students were asked to present the class with an electronic organ or other creations. For a moment, we mistook their hesitance to present as reluctance while in fact these kids were perfectionists who wanted to maximise their preparation time. In the end each group showcased their creations by programming excerpts from the hit songs such as Payphone with a contemporary twist. There also played classic songs like Ol' "KFC"had a Farm (They totally made up the name), Mary had a Little Lamb and Do-Re-Mi from Sound of Music with the electric piano they made. There were other projects like a simple automated lighting and air conditioning system prototype made from pieces of scrap wood and a computer fan. Given the short time of the course, the results from these students with little training were impressive. Chern left us soon after to catch a plane back. Khayhen had his mind set on visiting a local famous Curry Mee stall but had to postpone that plan when we arrived after closing time. We ended up with a sad Khayhen on our hands. Fortunately that was easily fixed when we drove up to the Guan Ying statue in Kek Lok Si during the afternoon. 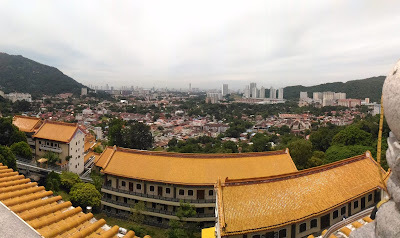 We were awed by the enormity of the statue and enjoyed the beautiful view of Penang from a hill top. It was a nice touch of Penang culture for the trip. By the time we headed down the hill, we were so exhausted we retired early. After a much needed rest, we look forward to the Young Innovates Challenge tomorrow at TAR University College! Indeed they are the heroes of the future.